I didn’t really mean to do it. It just happened. In the midst of the demolition though, I found out just how supremely stupid the previous owners were. 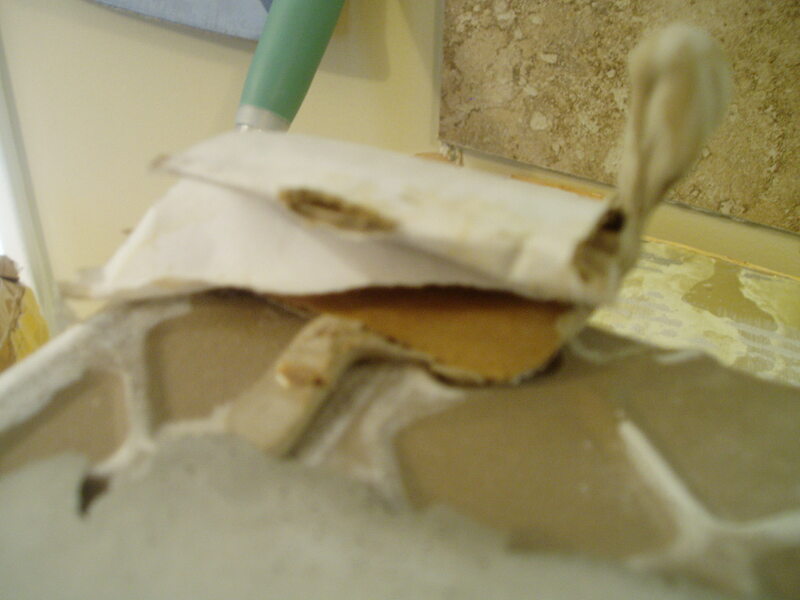 For starters, when I removed the pieces of tile closest to the wall, I discovered that the back 2 inches of tile were not even attached to anything. 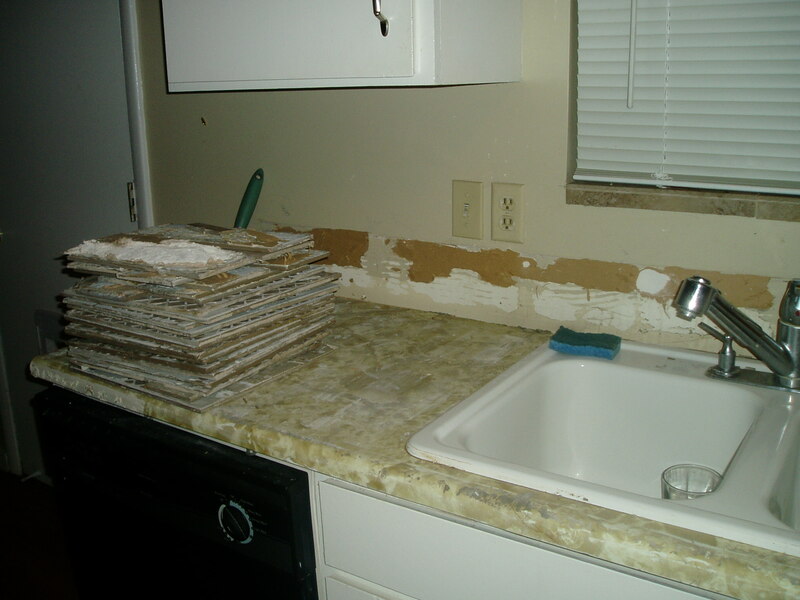 The laminate counter top below that they tiled over didn’t go all the way to the wall (presumably because they removed some sort of backsplash or something). So they tiled over AIR. Which is really awesome because nothing was sealed properly AT ALL so all of the tile I pulled up was soaking wet on the bottom and pretty much everything (all the wood underneath) has to be replaced. Can anyone guess what THAT is? When pulling up the corner pieces, I learned how the ingenious do-it-yourselfer solved the whole “tiling-over-all-that-air” problem in the corner. He used bunched up CARDBOARD to support the corner. Were you all listening just then? C-A-R-D-B-O-A-R-D!! I’ll just leave now so you can all process that. Goodbye, Moto. I need a Moment. My family has been dealing with crap like that for the past 10 years. It hasn’t gotten any better. I’m sorry your kitchen is down, but maybe that means now you can upgrade…? If it makes you feel any better, I’ve seen much, much worse do it yourself work. Wow, that is just awesome, in a horribly sad sense of the word. If you guys need any help installing anything just give me a call. I have some extra cardboard just sitting here. I’m thinking maybe the entire counter could be cardboard installed using chewing gum? ?